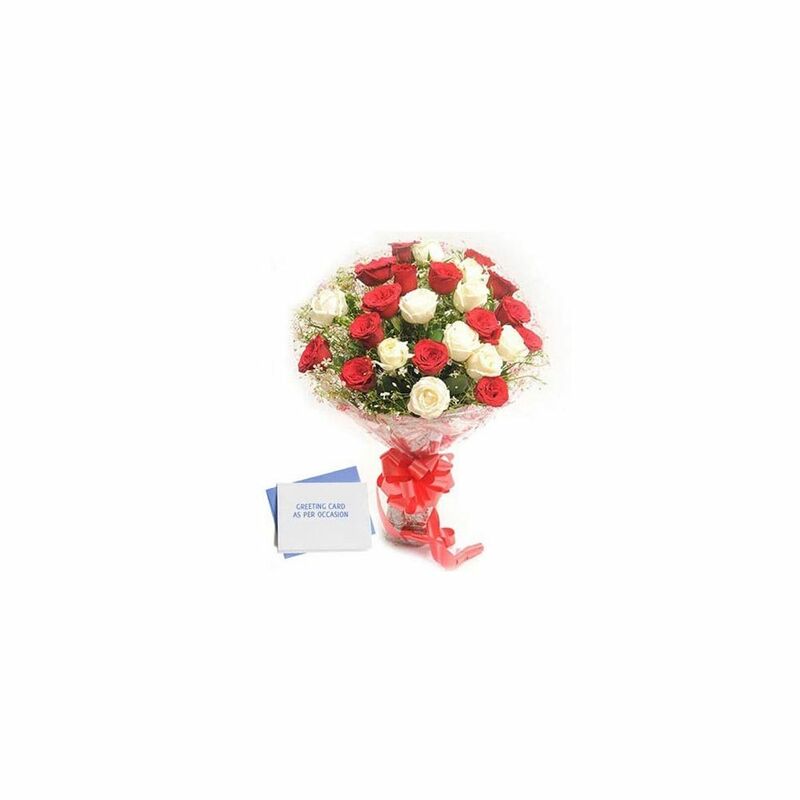 Red and white roses together can create a sensation and a memory for you and your love. Red being the colour of love and white stands for purity is what actually you need to define your pure love for the only special one in your life. Red and white roses together can create a sensation and a memory for you and your love. Red being the colour of love and white stands for purity is what actually you need to define your pure love for the only special one in your life. There is a bunch of 30 red and white roses and a greeting card as per occasion. Just go with this combo and make their day special.